I couldn’t fit everything into 1 picture! haha! 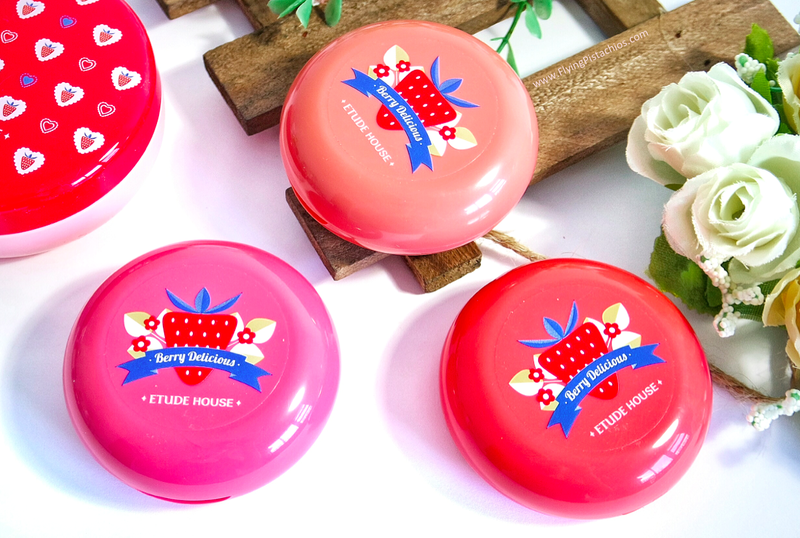 One month on and I am still swooning over the new Etude House Berry Delicious Collection! Launching this Friday 4th March, this berry sweet, berry flirty and berry berry highly anticipated collection is sure to send you scampering into their stores! Be sure to go early though – I have already received lots of enquiries about this collection so you can expect a queue there! 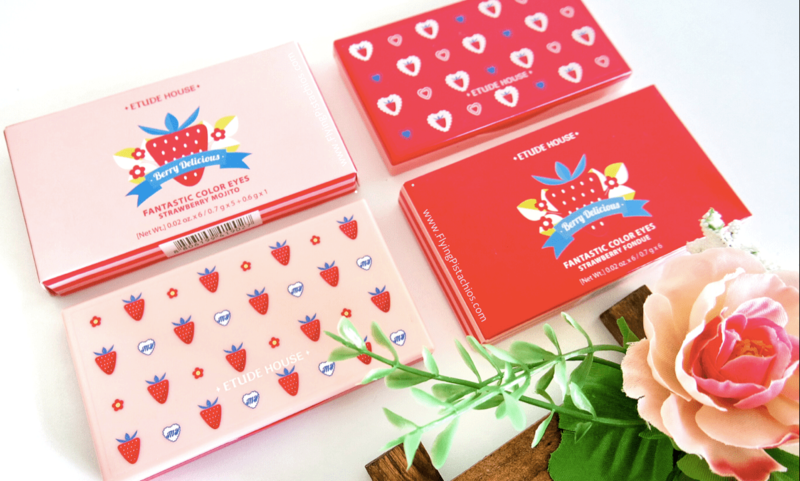 Available in two six-colour eyeshadow palettes – #7 Strawberry Mojito and #8 Strawberry Fondue, the Berry Delicious Fantastic Colour Eyes palettes features eye colours that are trending in Korea and the K-beauty scene. These colours bright and refreshing, suitable for Spring and Summer. 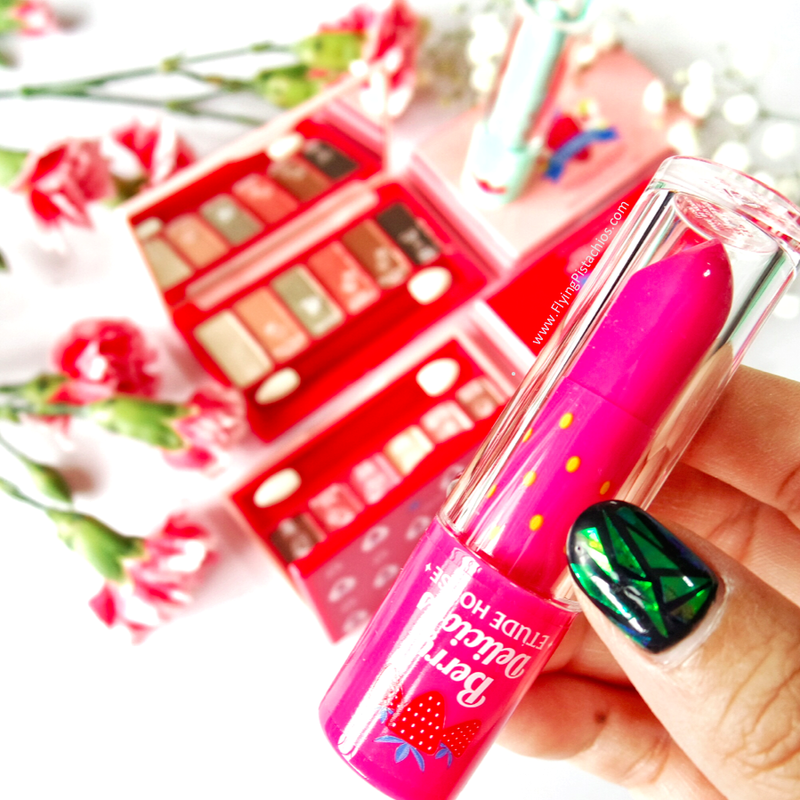 #7 Strawberry Mojito features more shimmery and sparkling colours while #8 Strawberry Fondue has a good mix of matte and shimmers. Pigments remains soft (and not hardened) after swatching. 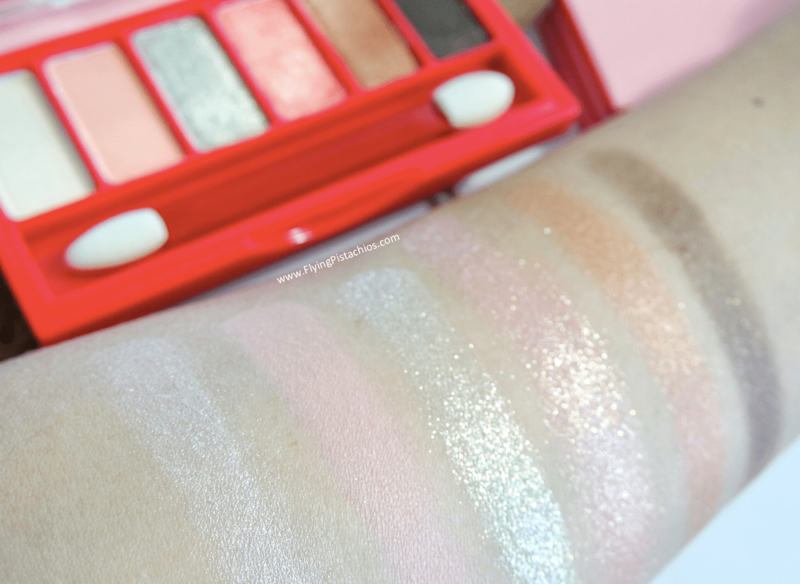 The images and swatches above are from #7 The Strawberry Mojito Palette (read the image captions) and they consist of 2 highlighting shades with a slight sheen, 2 sweet iridescent shades – green and coral and 2 shading shades, brown and a black. Focusing on the last 2 shades, you can see from the swatches that the brown shade (Berry Brown Sugar) swatches more orange than brown. Even after digging away the top shimmers (refer to image right above), the swatches still comes out as same orange, which is quite baffling given that the pot looks like a pretty poop colour haha! The orange however suits the overall palette colour tone and can be mixed with Mojito Party to achieve a darker brown. On the other hand, the black (Mojito Party) is not a true black, but rather a very dark brown, common for a korean eyeshadow palette as Koreans usually prefer a softer overall finish. Although the first swatch looks very shimmery, the shimmer is just a top coating and reduces greatly after the first swatch to a almost matte dark brown (which is perfect for me since I prefer my shadow colours to be matte). 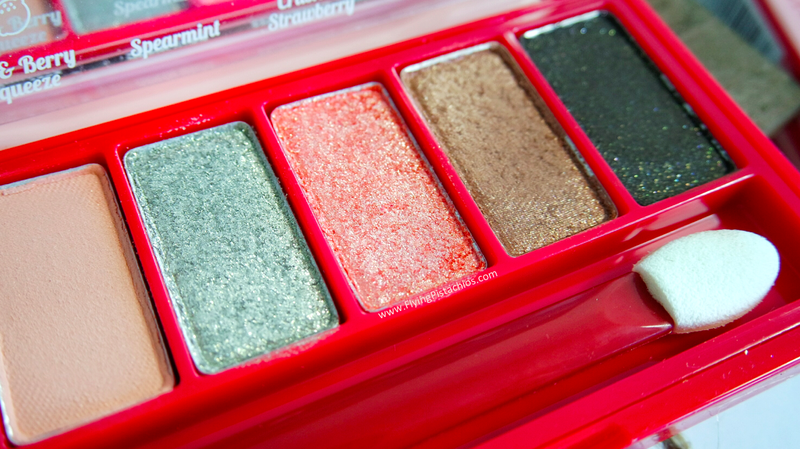 Spearmint and Crushed Strawberry has bigger shimmer particles in them, which means more shine and reflection – add it onto the middle of your eyelids for a splash of refreshing sparkle to your eyes. 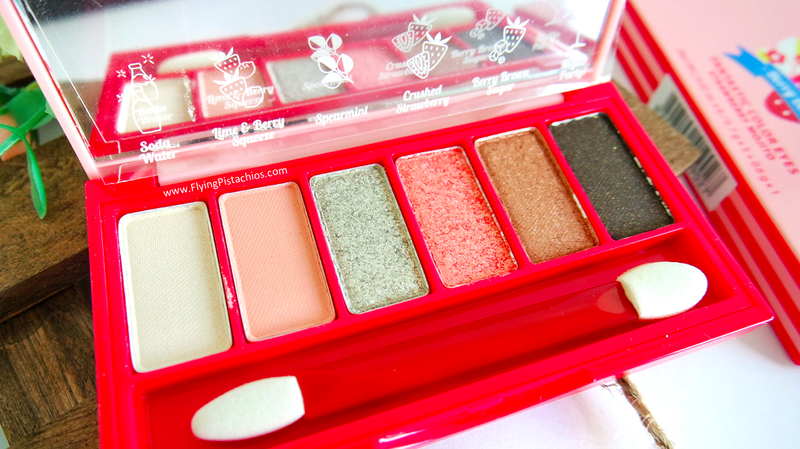 The images and swatches above are from #8 Strawberry Fondue Palette. 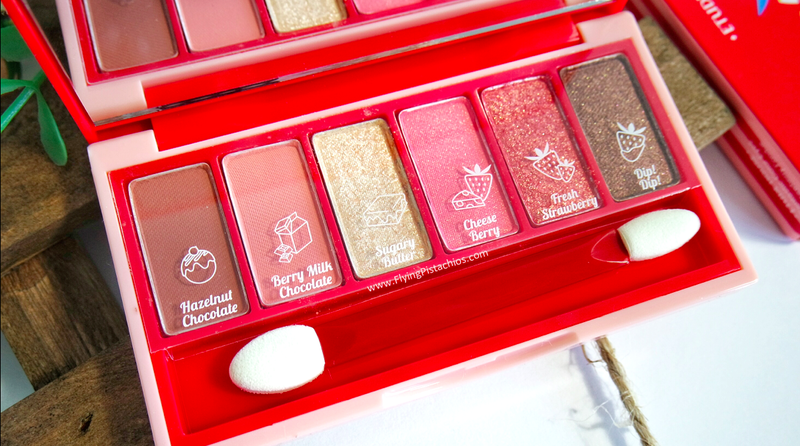 Among the 2 palettes, this is my preferred one for 2 reasons – more matte colours and just look at that rare and gorgeous looking ‘Fresh Strawberry’! 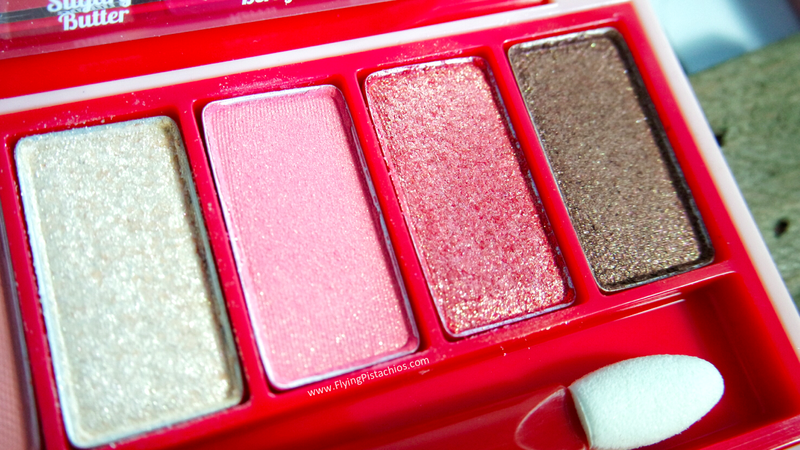 (Don’t you love how the names of the shades can make a sentence tell 2 different stories? 😛 ) A iridescent red is hard to find, let alone one thats so beautiful and wearable! 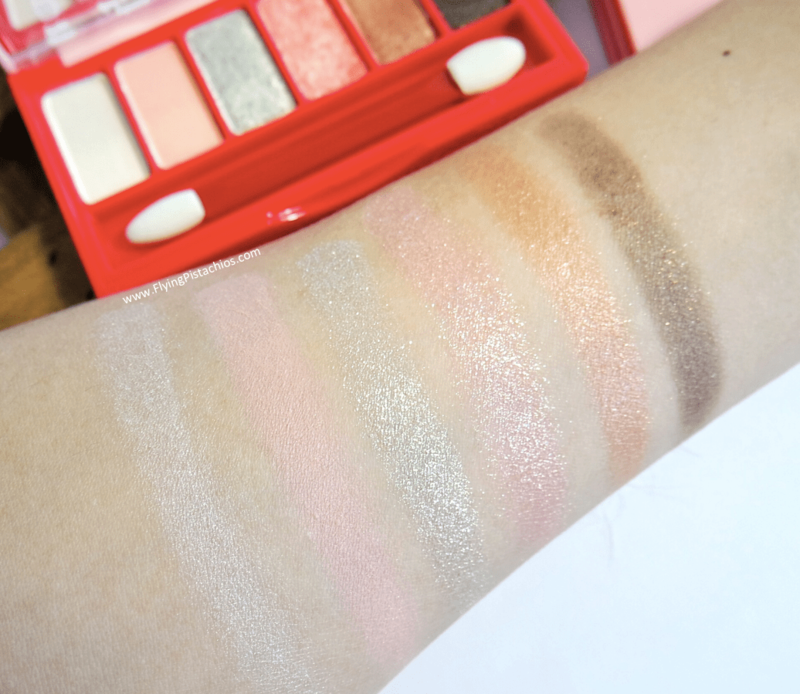 This palette contains 2 true matte shades which I use as transition colours, 1 shimmer shade, a darker pink with a slight sheen, the gorgeous iridescent red and the poop brown shade that everyone loves. 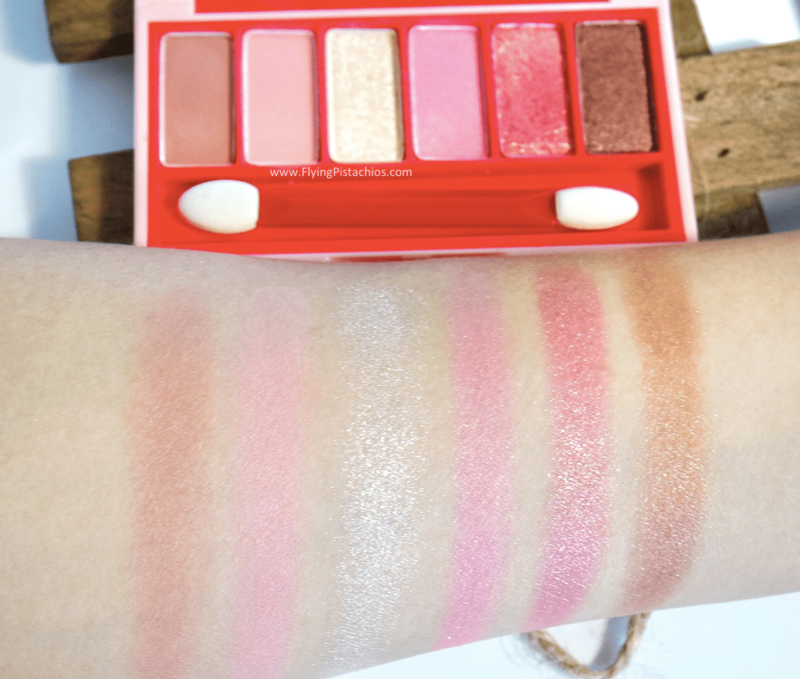 The second colour, Berry Milk Chocolate looks like a muted peach, however, it swatches more like a light pink shade – another baffling moment. Shifting our focus to the 2 last shades (Fresh Strawberry and Dip! Dip! ), the top layer of yellow shimmer is plentiful only on first swatch, and reduces the more the dip into the pot. With a combination of subtle pink and brown shades along with statement point colours, the palette creates eye looks that are sweet like a strawberry but sophisticated like chocolate. 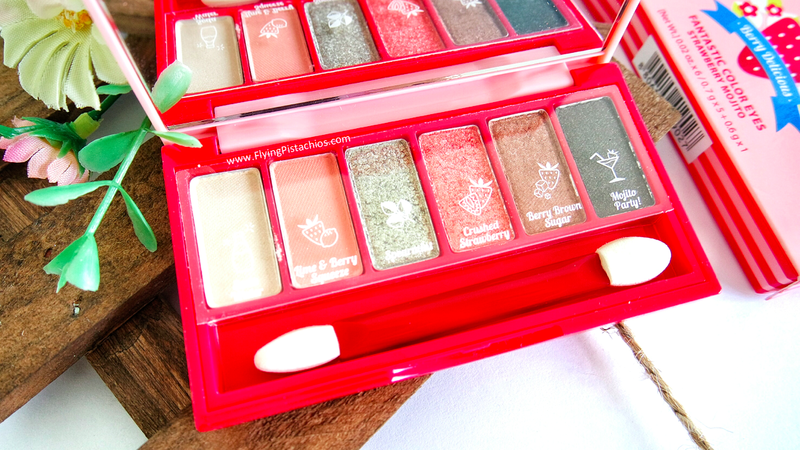 If you are going for a sweet, young and fresh look, #7 The Strawberry Mojito Palette is for you. 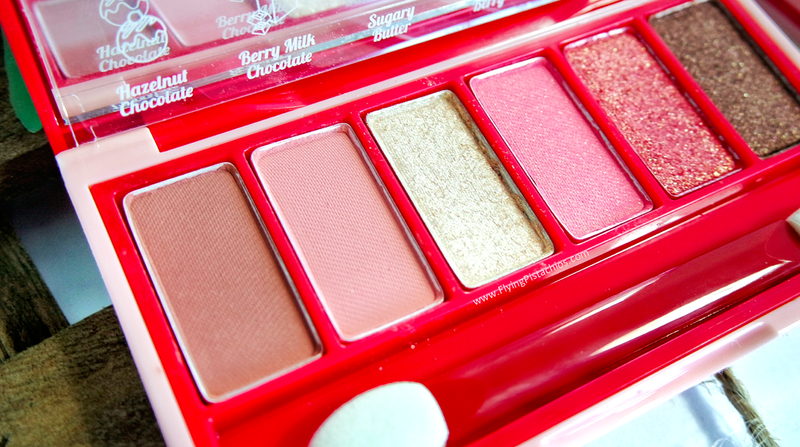 If you are the sophisticated girl who still likes to keep a hint of sweetness, go for #8 Strawberry Fondue Palette. 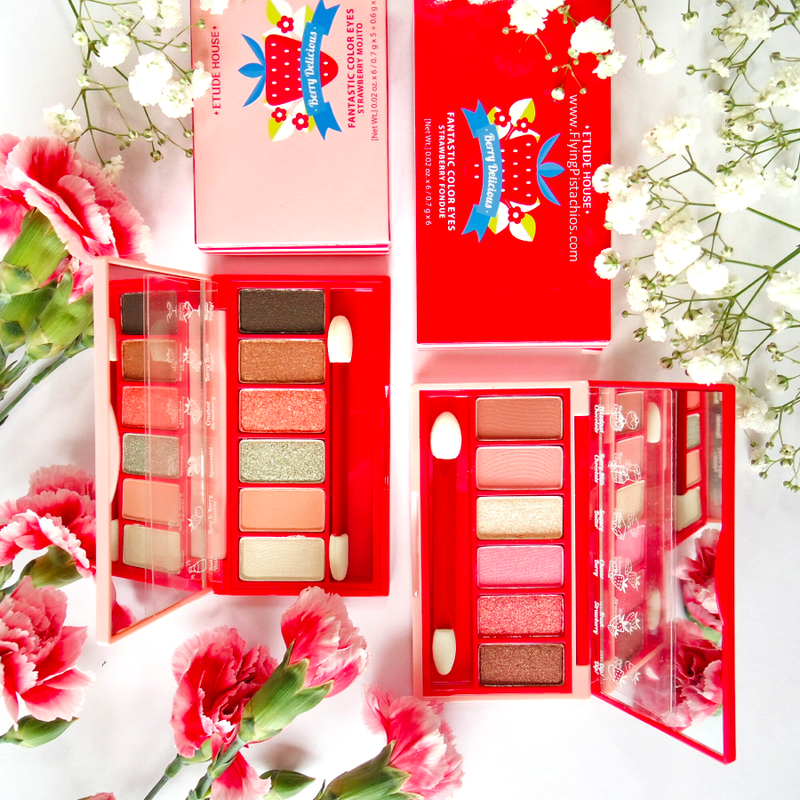 If you are the crazy beauty geek collector like me, it’s only S$19.90 each , so get both. Love the cute strawberry plastic covers inside! Now, I have absolutely no idea why this is called a cream blusher as the texture and formulation is nothing like that of a cream! 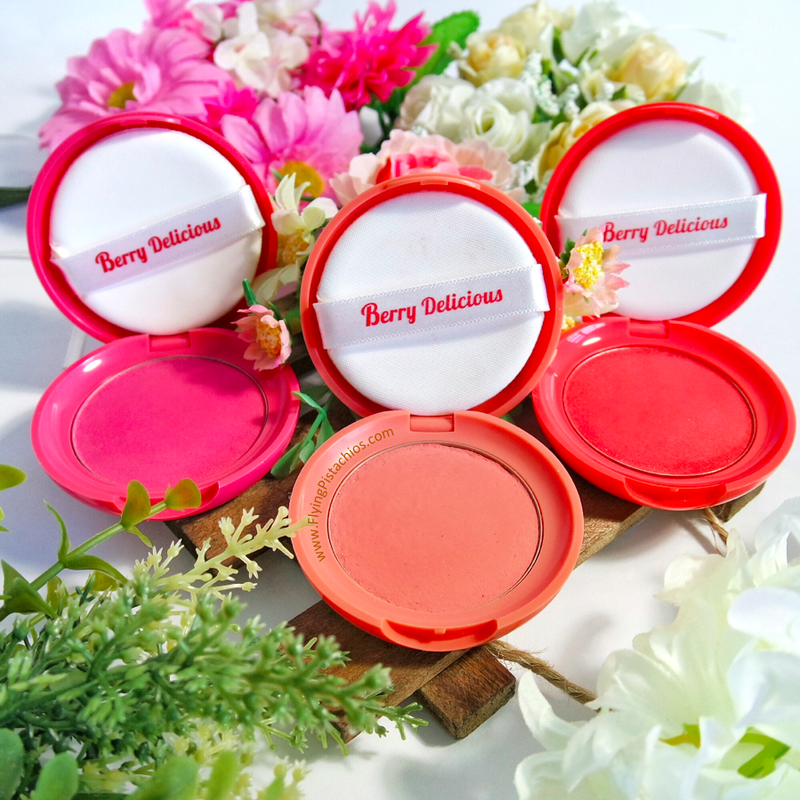 It looks like your usual powder blusher, just that the finishing is smoother and pretty natural than most powder blush. Comes in a click open case with a sponge puff for application, the first thing you’ll notice is this sweet and delectable berry scent. Not too overpowering, it actually smells like real berries! ***Adds Points! *** I’m sure the scent coupled with the adorable packaging, this will be a hot fav among the ladies! #2 is everyone’s favourite pink. 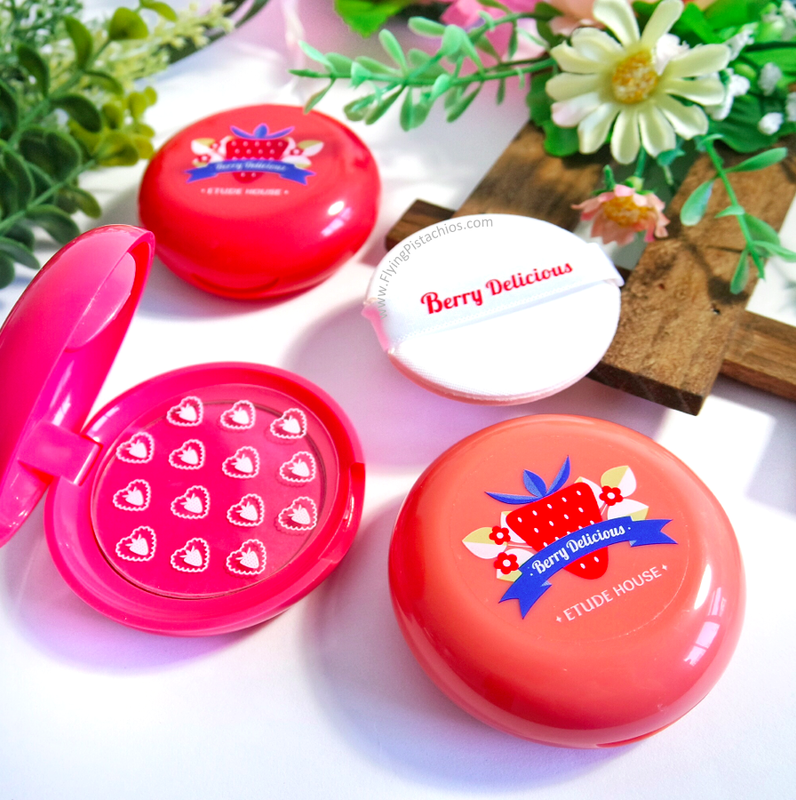 As per most Etude House blushers, they are usually pretty light and the way to use them is to build them up to the intensity you want. 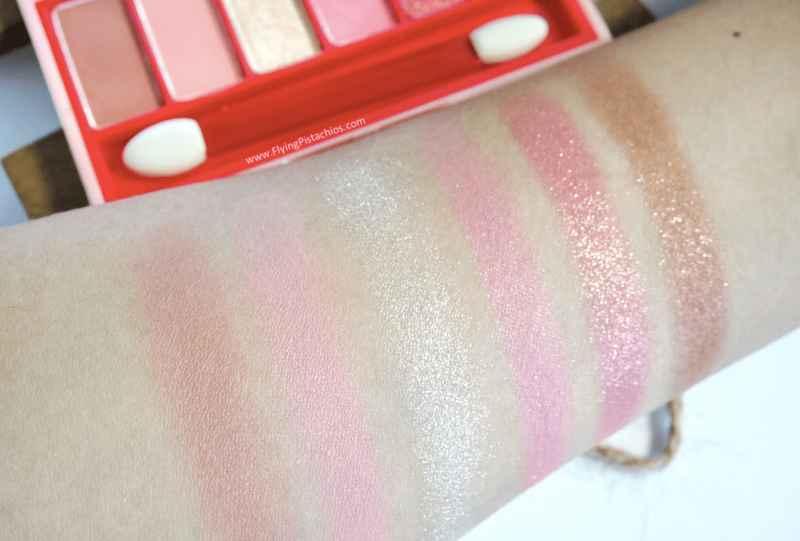 From my swatch, you can see how this pink can be built from a natural pink flush from the right to a hot pink on the left end of the swatch. For my Natural Beige skin tone, the first few puffs does not add much colour to my face and I find myself building it up to a more intense pink, then blending out the sides. 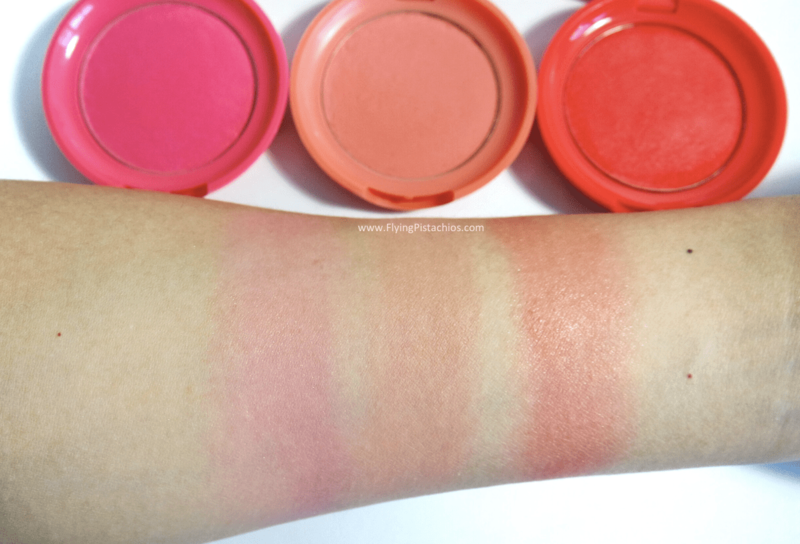 #3 is a very sheer coral which only helps to add some definition without showing much of it’s beautiful colour on my cheeks. This shade will be more suitable for a fairer complexion and I can imagine how this can add warmth to a otherwise pale skin. #1 is a littles step into the danger zone – I recommend ditching the puff and go for a brush instead. Be very light handed with this spicy orange, as it contains strong pigments and can be a little hard to control. I do however like this colour as it shows up nicely on my cheeks. As this is a darker and stronger shade, I’ll change out my contour powder to a lighter one to avoid looking too done up and unnatural with too much strong colours on the skin. Be sure to use a matching lip colour that’s the same or has a spicy tone to it. Review of Berry Delicious Colour in Liquid Lips Juicy, Lip Treatment, Lip Scrub , Body Wash and Body Milk in next blog post.